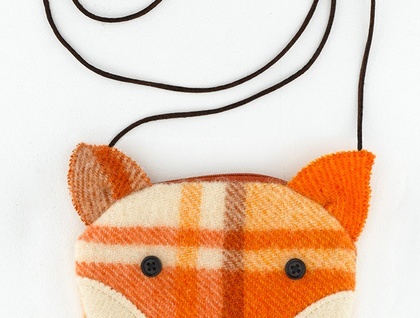 A sweet Foxa purse with removable shoulder strap. Handmade from vintage blanket and fully lined with pink fox cotton. A perfect gift for fox fans, Just the right size to be a small purse that you could keep in your bigger bag, or wear it on your shoulder. 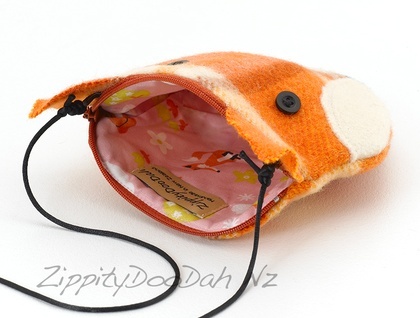 The strap can be removed if you want to use it as a coin purse. Handmade to my own original design.